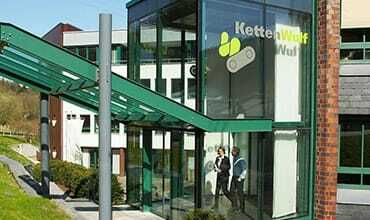 The interests of KettenWulf and the private interests of its employees have to remain strictly separated on both sides when it comes to dealing with business partners and governmental institutions. Irrelevant considerations and personal interests are not being considered for any and all acts and decisions. KettenWulf respects fair competition and particularly complies with any and all applicable laws and regulations which protect competition. KettenWulf commits itself to promote equal opportunities and within the scope of prevailing laws and statutes, to opposing all forms of discrimination. KettenWulf respects the internationally recognized human rights and supports their observance. In addition, KettenWulf strictly rejects any form of forced and/or child labour. KettenWulf respects its employees’ right of association within the bounds of prevailing laws and statutes. KettenWulf will safeguard occupational health and health protection at the workplace within the scope of prevailing laws and statutes. KettenWulf commits itself to an sustainably environmental protection for the current as well as for future generations. KettenWulf commits its employees to safeguard trade and company secrets, including those that have been entrusted by third parties.